The Moonwalk is a marathon (full moon) or half marathon (half moon) which is walked at night, through central London where walkers wear their decorated bras to raise money and awareness for breast cancer. This was on my bucket list as something to do before I was 30 and is the second item I can now tick off after India. 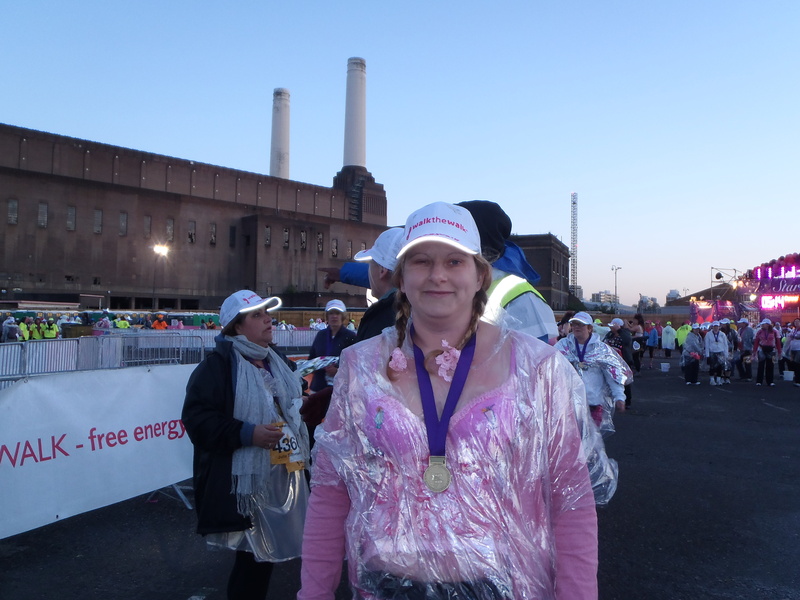 The night of the walk arrived on 11th May and as I travelled to the start location of Battersea power station for 9pm, the heavens opened and with that a feeling of dread crept over me for what I had let myself in for – the thought of walking in the rain in the middle of the night didn’t fill me with joy. 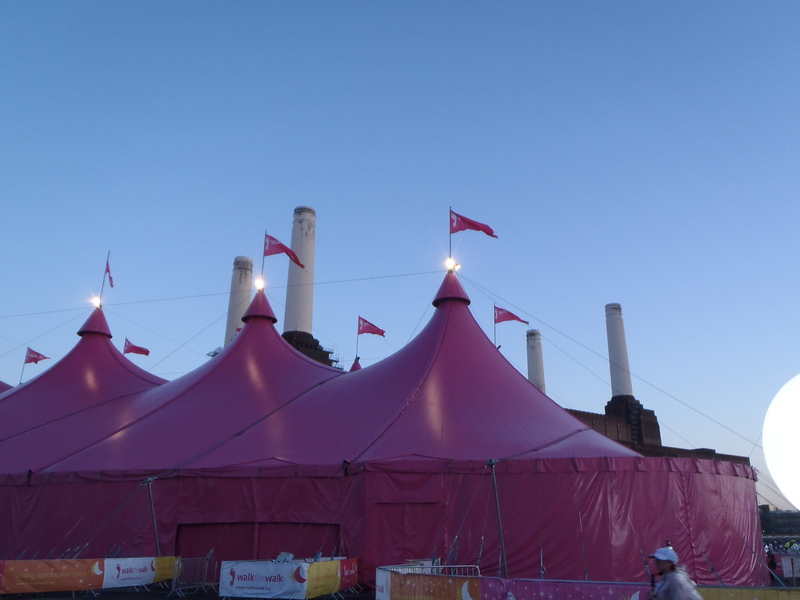 I dived for cover in the large pink tent they had erected for the event (moon city). A band was playing as people tucked in to their carbohydrate full meals of pasta or rice in preparation for the walk. Balloons and bracelets were being sold and people were having temporary tattoos applied. There was a general buzz of excitement. This year’s theme was outer space so many people had dressed as aliens and astronauts with a notable team of young girls in green onesies with 3 eyes on their bras. I designed my bra with just the pink theme in mind and adorned it with cocktails and shoes as an expression of myself. I would love to say I sewed it all myself but it is my Mum I have to thank for the impressive finished result – I was simply the design consultant. A minutes silence was held in the tent to remember in particular 3 ladies who signed up back in November but have since unfortunately lost their lives to breast cancer. It resonated with me just how important this cause is and we were also spoken to by a lady using the new scalp cooling caps which are being funded by the charity and reduce the likelihood of hair loss during chemotherapy. Around 55,000 people are diagnosed with breast cancer each year in the UK and just under 12,000 die from it. It can affect anyone male or female although it is far less common amongst males. The warm up began and I thought that would be the best time to use the facilities one final time; negotiating a portaloo in a tutu with a helium balloon whilst hovering and avoiding touching anything was interesting to say the least! I was in the final start so there was an awful lot of waiting around with only the warm up (6 times over) to entertain you. I wondered at the rate we were going if I would in fact complete it by the time I was 30! I randomly bumped into a girl from work who was doing the full moon so walked most of the way with her and a cancer nurse from Oxfordshire. At 0027 the rain had passed over and we were finally off with the first mile passing fairly swiftly. By the time the imposing chimney’s of the iconic power station was seen for the third time – I did start to wonder if we were in fact walking in circles! The volunteers were great with their smiles and words of encouragement along the way and it was nice when people we passed congratulated us and cars blew their horns as we went past. It was an enlightening experience to walk down the Kings Road glancing in the expensive shops where each rail holds only a couple of items and listening to the birds tweeting – something you would never normally hear in central London. Mile 7 to 8 was one of the longest it seemed, mainly due to it being uphill. At Hyde Park Corner and mile 10 I did briefly wonder if I would complete it being that we slowed to a stop due to congestion and I started to feel quite light headed. I soon had a new lease of life though and visibly sped up for the last mile and a bit. As I crossed the finish line at 0511 and had my medal placed around my neck, I felt an immense sense of pride at what I had achieved. I managed to raise £678 for breast cancer care and my company will match that amount and donate it to Action for Children. I want to thank everyone who has supported me especially my colleagues at work and my Mum and boyfriend who gave up a nights sleep to come up to London and cheer me on. 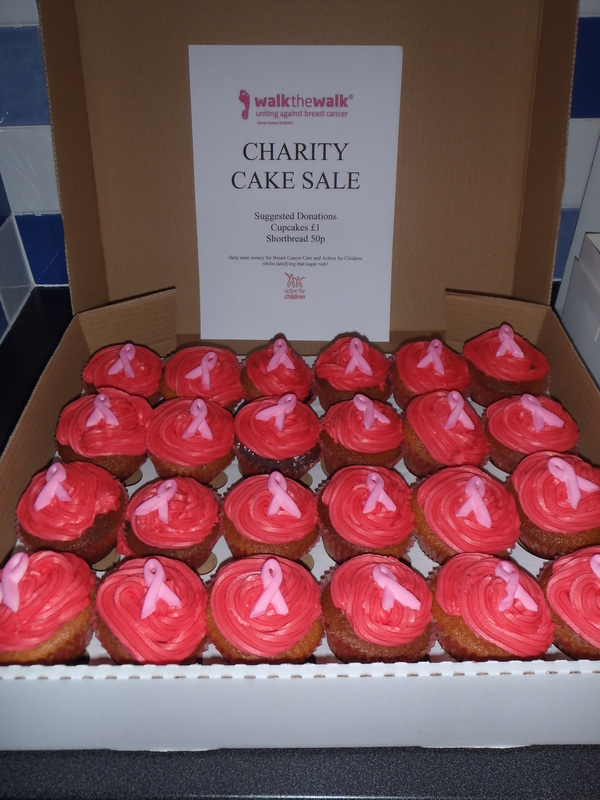 I also carried out a cake and shortbread sale at work to raise money which was most successful. Will I do it all again next year and perhaps even the full moon? My immediate response afterwards was no but now I am considering it – a bit like childbirth the bad memories fade away and it looks like a good idea again! Anyone want to join me? !